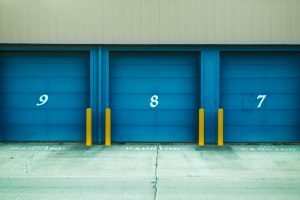 Storage units have become very popular in the past ten years. 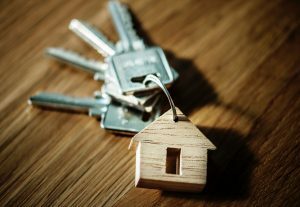 The sheer possibility of keeping your items tucked away, out of your sight, but safe and accessible at the same time has proven to be quite catchy for us Americans. Furthermore, having a storage space in the moving period is more useful than you can imagine. In order to help our clients out, Dumbo Moving has created very attractive offers for storage NYC. We are going to try and familiarize you with what we can do to help you put away items that you do not use on a daily basis. Not only are we going to help you keep your home clean, decluttered and your family happy, but we are also going to do it at very affordable pricing. Therefore, if you need storage space, bear with us for the best storage New York offers you will ever get. Who uses storage NYC the most? There are many people who have realized the benefits of renting storage space. But who are they? The people who have profited the most from our storage New York are those people who needed to move locally or long distance out of their apartments, but their new homes have not yet been prepared for moving in. So, they rent temporary housing but do not take all of their items with them. After all, often moving is energy-draining and time-consuming. Therefore, instead of having to come up with impossible plans for what to do with their, at such times excess, items, people can now simply store them in storage units NYC for a very affordable price. Once their new home is ready for moving in, they can have their items shipped, unpacked, set up and ready to be used. Just imagine moving into your new house and being able to use all of your appliances right away. Sounds magical, doesn’t it? Also, there are people who are moving to big cities where the costs of housing are higher than what they are used to. Sometimes, they cannot even afford to buy or rent a house or an apartment of the same size as the one in which they used to live in. So, these people sometimes have issues with what to do with their excess items. That’s where storage companies NYC such as Dumbo Moving come into the picture. In order to be able to get to your items when you need them, it is very important to have the storage option of your choice accessible to you. This is exactly what Dumbo Moving is offering. If you choose to rent storage space with us, you will have unlimited access to them every working day from 9:00 am till 5:00 pm. When you need access to your items, all that you need is to give us a call. Our storage associates are standing by ready to assist you. Therefore, do not spare a moment and get in touch with us. We will gladly give out all the details you might need to know over the phone. Alternatively, you may send us an email or even pay us a visit. The choice is yours. 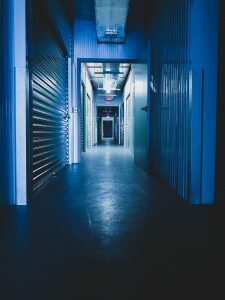 Another thing that you should not worry about when renting storage NYC is security. It should be our concern entirely. And it most definitely is. Dumbo Moving offers to provide constant monitoring of your items in our storage space located in Brooklyn. In order to make sure that everything is in order at all times, the storage space that Dumbo Moving provides is under constant video surveillance. We take the security of our customers’ belongings very seriously and act accordingly. Therefore, if you have been having second thoughts about what storage NYC to choose, by now you should have made your decision. We stand by ready to help you. In order to make sure that our customers receive great service and not break the bank, Dumbo Moving has come up with competitive pricing for our storage service. According to the above-mentioned parameters, we will be able to present you with a very attractive offer for storing your items. All that you need to do is to make the first move. The rest is up to us. If you need space to store your items while moving, let us know and we will find the best storage New York option for you. Here is the last bit of very important information that you need to know. Our storage space is equipped with climate control. This perk allows us to store items that are sensitive more than your ordinary moving load. For example, in the case that you have in your possession art pieces that are sensitive to air and humidity oscillations, let us know. We will make an assessment and let you know whether we can guarantee the necessary temperature levels or not. Ultimately, we take our business very seriously. Even more seriously we take our clients’ items. If it were not for our clients, we would be looking for a new line of work. Therefore, we will do everything that we can in order to make sure that you receive immaculate service. Should we be unable to provide such a service, we will not hesitate to let you know. Being true to our customers and to ourselves is what puts Dumbo Moving ahead of other storage NYC businesses. Accumulated too much stuff over the years? Don’t want to sell it or give it away, but have no room to store it? The expert movers at Dumbo Moving can even help you pack your belongings. And we will then transport them to one of our 24 hr monitored storage New York facilities. Call us today for a moving quote, or use our moving cost estimator. We’ll stop by for any pickups you may need. When you need access to your storage unit, give us a call. Our NY storage professionals are standing by to set appointments Monday through Friday, 9:00 a.m. to 5:00 p.m. Dumbo Moving and Storage NYC takes security very seriously – we provide constant monitoring of our storage facility in Brooklyn so you don’t have to worry about your belongings.